On the surface, it appears that the unemployed have a LOT of extra time on their hands, and indeed it is true. I have learned very quickly, however, that time gets spent instantly and if you’re not careful can get wasted easily. Other than job seeking and trying to determine what type of career path to head down, these last six weeks have given me the opportunity to explore many boundaries rarely visited. There is no question this has been an intense, trying time in my life. Facing an unknown financial situation with the continued strain of two cars that seem to have been cursed for the last three years, I feel I ultimately failed more than I succeeded at my chances to turn to God. I let stress pile up to what could be looked at as the beginnings of depression, felt anger begin to build up in my heart, and of course took plenty of time to escape this reality for another one. Despite my wife’s amazing and unwavering faith in me (she constantly tells me that I am NOT a failure), I am – and that is okay. 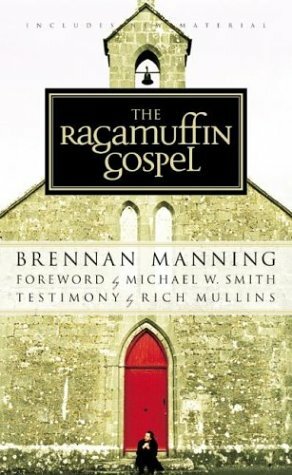 Brennan Manning’s book, The Ragamuffin Gospel, has its weaknesses as a theology book. He is definitely overtly focused on God’s happy love and forgiveness. I could imagine Brennan as the Bob Ross of Christian authors. He can even be borderline enough in his lack of discussing the need for repentance and change that I wouldn’t blindly recommend him to anyone. It’s a good thing he is only a Christian experience author and not a theologian (then again, neither is Max Lucado, Rick Warren, John MacArthur, John Piper or anyone else’s name that isn’t an actual theologian). What I found attractive about his experience was his willingness to admit that he is still a ragamuffin; a raggedy andy that is all too experienced in his own continued failures. When I wrote about risk taking, I talked a lot about stepping out in faith and giving God all I have. What I ultimately have is a broken, overly egotistical frame that has to daily force himself to remember that he is not in control – and that it is okay. I am a failure that has been saved. I am a failure that does not have to lie in the bed I made, but in the arms of a loving Savior. I do continually put an emphasis on repentance and growth in myself because I do not want to be asking forgiveness for the same sins five years from now, but I will still be imperfect then. So, aware of my ragamuffin nature and aching back, I am able to stand and survive. I can go on because God has and will continue to keep me in his Hand. Despite my complete lack of income, God has provided what Nita and I need and given blessings FAR beyond what we deserve. He has also kept me focused on taking forward steps as opposed to completely shutting down. Therefore, in my time off I have been able to put an added emphasis on the activities and content of Cape Alliance‘s youth group (The Nomads), started my own business, reapplied for my Christian ministry license and kept on track searching for the place God wants me to be. God has shown me compassion and love from my friends and family in ways that I cannot even put into words. He has supplied me with kicks in the pants and hugs when each were needed and grace (specifically represented through Nita) is truly is more powerful than anything I’ve ever before experienced. Yesterday I was given an offer letter to work in a capacity that finally breaks me free from the direct focus on sales and allows me to expand my marketing expertise while also working with clients as an account/relationship manager. I am excited that instead of being forced to hunt, I can finally begin farming in the way I believe is right and have learned. The business I have started (Buy the Numbers Marketing) is something that will stay alive and in the background in case I get bored on the weekends, and if I do reacquire my license, it will open up more avenues to ministry, which is, ultimately, the purpose of my existence.